Nokia has launched a series of Lumia smartphones in a short span and here comes another one (almost confirmed), The Lumia 928. 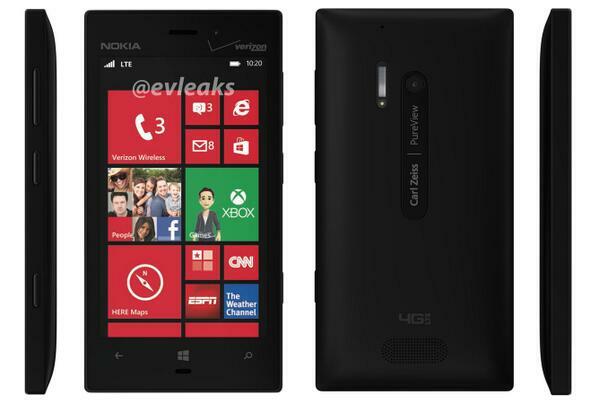 Nokia Lumia 928 final render pic has been leaked by @evleaks on Twitter. According the leaked render it seems that the smartphone will be released on Verizon in United States. On the specs side, the Lumia 928 is expected to have a Xenon flash, which makes it the first Lumia device to have a Xenon flash. It will also have a LED flash alongside with a screen size of 4.5 inch. The smartphone may not be releasing worldwide as of now but a possible worldwide release under a different branding cannot be ruled out. Lets hope it does make its way to Asia and the Indian Sub-continent. Let us know what you think about this!